Your family room gone high-tech. It’s still a living space minus the annoying cable box, Blu-ray player, wires, and multiple remotes that no one really ever masters. Only you know about your behind-the-scenes automated butler that is now making your life so much sleeker and easier to manage. In fact, when Lifetronic Systems is done installing your media-room components, friends might not even know we’ve been there except for your spanking new state-of-the-art smart TV. Of course, even that can be disguised behind a mirror or a motorized piece of artwork. Speaker technology is so advanced, resulting in theater-like surround sound strategically placed around your room. Some speakers are inserted into the ceiling, angled to provide intense sound no matter where you sit in the room. We even offer invisible speakers mounted on fiber panels that completely disappear when painted or papered. One tap from your smartphone, tablet or easy-to-use remote dims the lights, closes the shades and starts your TV. Another touch starts the music, ignites the gas fireplace and dims the lights for a romantic evening alone or a cozy setting with friends. You can even send HD video to any room in your home or watch video from many sources: Apple TVs, Roku boxes, media players, hard drives, portable devices. And the system’s brain is completely hidden, out-of-sight, either in the basement or a stylish cabinet. Media rooms are where many Lifetronic Systems’ clients start converting their home to smart technology. But since we only install fully-scalable systems, at any time in the future we can add whatever you want, since the brain of your home’s system is already installed. 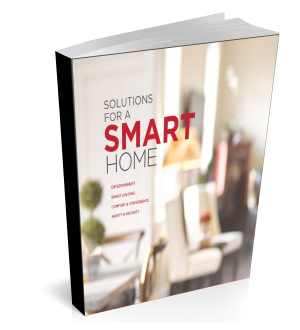 Looking for more information about getting started with Home Automation? Explore the Possibilities in this free guide. Local Service Areas: Lifetronic Systems is located in Westport and Greenwich, CT, and services all of Fairfield County, CT, and Westchester County, NY, including: Westport, Wilton, Weston, Redding, Easton, Fairfield, New Canaan, Darien and beyond. We also travel beyond Connecticut and New York upon request.